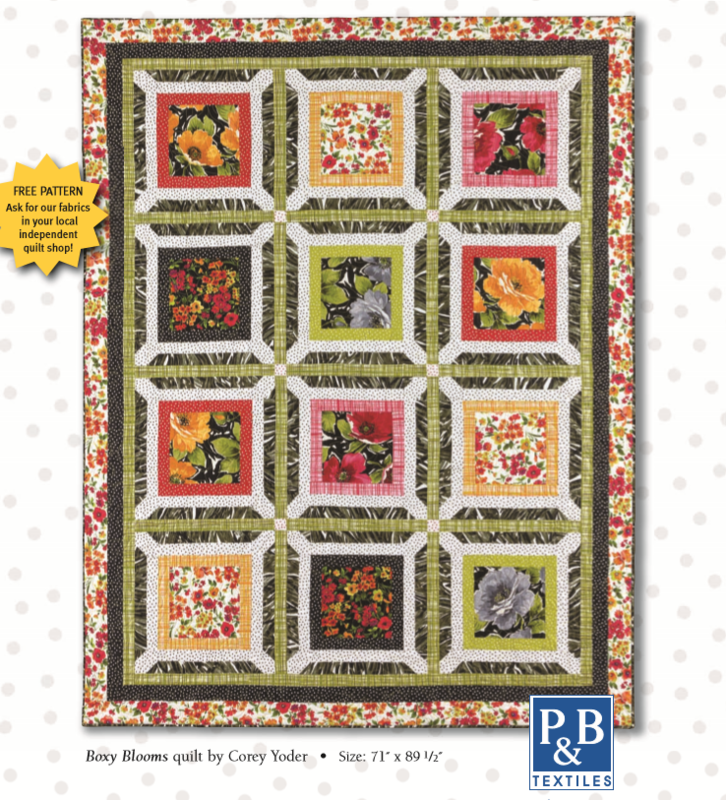 This Boxy Blooms quilt is full of flowery goodness, a truly beautiful design featuring the Breezy collection from P&B Fabrics. 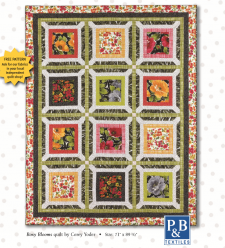 We love the large flowers and the effortless synergy of the colors, isn't it gorgeous? Corey Yoder created this design as a free project for you. Enjoy!